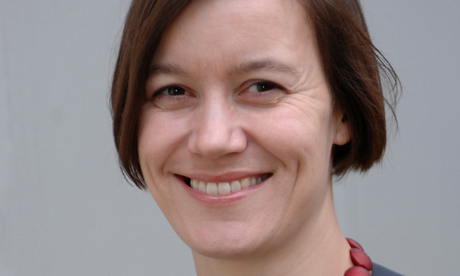 Hackney Community Law Centre and the Child Poverty Action Group have spoken out following a damning report on a botched outsourcing plan that one local MP says resulted in “appalling” consequences for local people. HM Revenue and Customs (HMRC) ended its deal with contractor Concentrix in November last year following a series of problems with the arrangement which ended up saving the government less than a fifth of the £1 billion it had originally been envisaged it would. Concentrix was meant to help cut fraud and error in the system, but in numerous cases it wrongly adjusted or terminated claimants’ tax credits, leading to untold stress, anxiety and hardship. As of mid-December 2016 HMRC had paid out compensation totalling almost £87,000 to claimants who suffered worry and distress as a result of the company’s bungling, according to the National Audit Office (NAO). Today Marcin Brajta, a welfare case officer at Hackney Community Law Centre, told the Hackney Citizen how he and colleagues had on one occasion fought for an hour and a half on the phone trying to obtain clarification on behalf of a client who risked having her tax credits wiped. Cancellation or adjustments can be backdated leading to overpayments and a big bill to be settled with the taxman, meaning “quite a stressful situation” for those on the receiving end, Brajta said. He said law centre workers were disconnected twice by Concentrix officers when trying to find out information about vulnerable claimants’ cases. Alison Garnham, chief executive of the Child Poverty Action Group, said: “Behind the NAO’s damning headline findings there were thousands of families who went through misery because their tax credits were stopped – often erroneously – and parents’ phone calls went unanswered. “Our joint research with Oxfam, the Church of England and Trussell Trust found poor administration of benefits is a key driver of food bank use. Public Accounts Committee chairwoman Meg Hillier, who is also a Hackney MP, said the contract with Concentrix had been “a venture with appalling human consequences”. HMRC said it was committed to paying tax credit claimants “all the money to which they are entitled, efficiently and on time” and it terminated the Concentrix deal “when it became clear it was not delivering the quality of service we expect for our customers”. A spokesman said: ” We apologise to all those who did not receive the standard of service that they should have. A spokesman for Concentrix said: “We welcomed the opportunity to engage with the NAO in its inquiry. “This was a hugely complex contract and programme, and as the report highlights, a number of issues emerged at the outset which laid the foundations for the challenges experienced throughout, particularly last year.